Yeah, I know, it’s old news but I didn’t have a chance to write it on Saturday. Actually, I didn’t have a chance to do much this last week since baby’s pills seemed to make him a bit worse, with awake times round the clock and hubby was away since last Monday, coming back only today! I know there was a prompt from BritMums to write a post on International Women’s Day and I had the link up waiting for me all week and time to think about this post. So hear me out on this one: although there are plenty of women in history who did things worthy of awe admiration and inspiration, I think Women’s Day should be about all the women out there who stick it out through thick and thin, day in and day out. 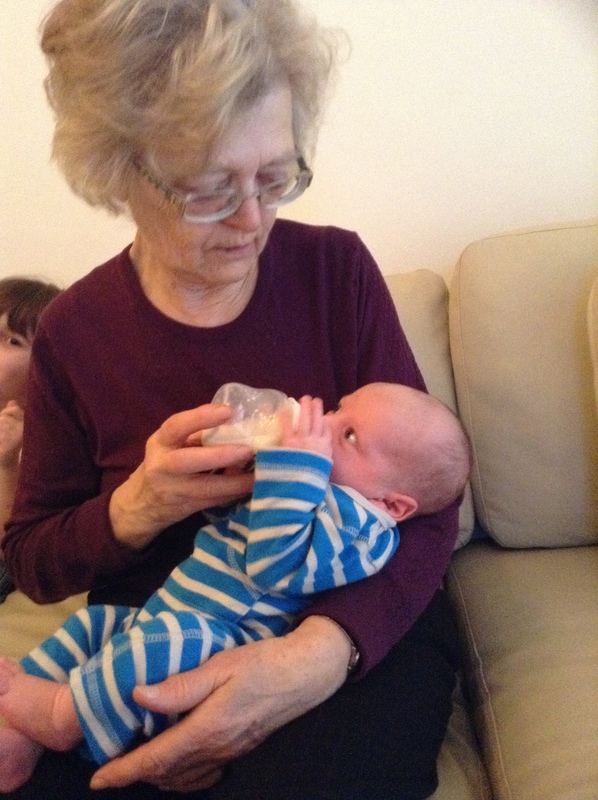 Baby fog, childhood illnesses, toddler tantrums, growing pains, teenage angst and then, all over again, baby days with grandchildren, like my mum is doing at the moment. I admire you all, mummies out there, you, who find time to blog while tending to three small children! You, who lost a baby and have the courage to go for another one! You, whose husband lost his job or is ill and still, you put up a brave face and tend to the daily chores with a smile! You, who feel small and insignificant but have no clue how precious you are in your children’s eyes, how irreplaceable, how unique! I salute you all and take a chance to celebrate you in retrospective. And to say, keep up the good work, believe in yourself, trust in a resolution to your issues, keep your chin up and lighten up the world, once again, with your lovely smile! Wonderful salute.Oana, you are a woman of strenght,faith,love and you,too deserve to be celebrated every day.Hope George gets better and may you find the way to calm his tummy. Ah, this is a great point. Grandparents can be amazing, can’t they? My Dad looks after my son a day a week and it’s magical.